Manufacturer of a wide range of products which include hydro pressure testing machine, hydrostatic pressure testing machine, automatic water leak testing machine, automatic hydro testing machine, high pressure testing machine and water leakage detection machine. 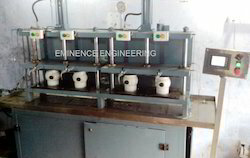 For the diverse requirements of our clients, we are engaged in manufacturing, exporting and supplying an exclusive array of Hydro Pressure Testing Machine that can work out for any plastic irrigation products; our offered testing machine is designed by our workforce using latest technology as per the set industry norms. Also, we also provide our testing machine in customized solutions as per with customer’s requirements. This testing machine is available from us at market rates. PLC and touch Screen HMI based complete automatic system. 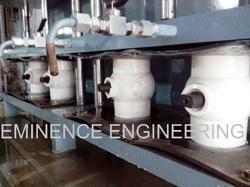 Supported with immense technical expertise, we are engaged in offering Automatic Water Leak Testing Machine. Our offered testing machine is provided in several stipulations to choose from. This testing machine is designed using top class components and modern technology under the direction of our skilled personnel. 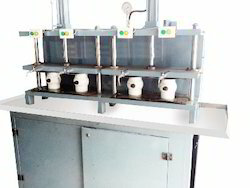 Offered testing machine is checked on well-defined parameters in order to offer defect range at the clients' end. How to find Leakage Problem in your Automatic Hydro Testing Machine Plastic Irrigation Products, Water line products, Chemical Piping Items, Steel high pressure components like Valves, Pipes, Connections, etc. Automatic Hydro Pressure Testing Machine is the perfect labor-saving component to meet the demands of testing Plastic Irrigation Products, Water line products, Steel high pressure components. Single machine can Test wide range of Component from 1/2" to 4"size, Pressure 1 bar(Kg/cm2) to 100 bar (Kg/cm2). Only one labour required to manually change the component. Changeovers from one size to another are as easy as pushing a single button on the control panel. Machine Improved Quality, Increased efficiency, Cost savings and High productivity by achieving speed with 4 component head testing at a time. It can workout for any Plastic Irrigation Products, Water line products. This is a perfect product which meets the output of High Pressure Testing Machine plants with no extra manpower required. 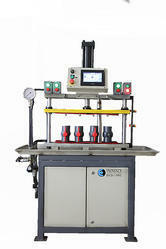 Automatic Hydro Pressure Testing Machine is deluxe product for rotation application with all necessary safety standards. Contact parts are Cast Synthetic Rubber. Complete automation with Eminence make standard PLC and touch Screen HMI display with branded quality for electric, electronic components which include required IP standards. The Automatic Hydro Pressure Testing Machine is Water Leakage Detection Machine heavy-duty design and durable construction requires minimal maintenance, thus assuring many years of dependable operation. Machine is having a very robust and vibration free body constructed on steel frame. All Parts ensures durability and GMP compliance. User friendly and variable speed controls for all application, easy to adjust and able to handle different sizes and shapes. 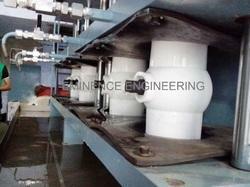 Capitalizing our immense technical expertise, we are engaged in providing Pressure Testing Machine. 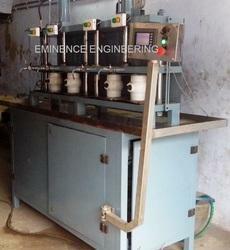 This testing machine is manufactured by utilizing the optimum quality raw material and leading technology. Our testing machine is extensively demanded in the market due to its performance. Offered testing machine is available from us in numerous stipulations to choose from. Backed with skilled professionals, we are engaged in offering the best quality Water Pressure Testing Machine. Our offered testing machines are designed using high grade raw material and leading technology in adherence with market norms. 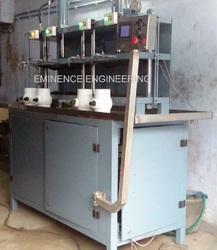 Our customers can avail these testing machines from us in various customized options. Also, we offer our entire range of testing machines in different specifications.